THIS IS A VERY NICE COTTON FULL SKIRT. ALL LINED IN A SIZE 8. NO GIVE IN SKIRT.WAIST. . WAIST IS FROM SIDE SEAMS ACROSS TO THE OTHER SIDE SEAM FLAT 35 CM. Upcycled denim maxi skirt created from Betty Bliss size S. Skirt is made from upcycled denim & has a high low hem finished with a chiffon ruffle made from new materials & accessorised with an upcycled macrame belt. Features: • Stretch denim • Includes detachable upcycled macrame belt • High low hem • Side zipper • 1 outside pocket • Co-ordinating colours Approx measurements: Waist - 74.5cm (will stretch to 79.5cm) Centre front length - 66cm Centre back lenght - 91.5cm All other accessories not included. Go o d L uckB idd ing. Size Type Petites. Stunning cotton skirt from Ann Taylor Loft! It is such a beautiful design and is perfect for any occasion. Imagine how great you'll look wearing it! Style Full Skirt. Pattern Floral. J.Jill Petite Flax Linen Maxi Skirt. Color Flax. Style Maxi. 100% Linen. Elastic Drawstring Waist. Material Linen. Machine wash, tumble dry. Waist: 34". Long full A line skirt by J JILL. Pull on style with covered elastic waistband. Lightweight linen with gauzy cotton lining. White with green. 100% linen. Material Linen. Machine wash. Features Elastic Waistband. Carole Little Sport Petites. Size Type Petites. Tan, Full Length skirt. Style Full Skirt. Material 100% Cotton. 1 Skirts. Style: Fashion,Casual,Elegant. Style: Casual,Fashion. Elastic: Mid. colour: Navy Blue. Waist: High Waist. Fit type: Loose. Material: Cotton Blend. Accents Broomstick. Style Maxi. Accents Boho. Length Long. Length down the back approx 31". Material 100% Cotton. Color Multi-Color. Modified Item No. 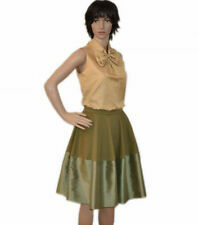 This skirt is fully lined with a side zip for fastening. Size Type Petites. 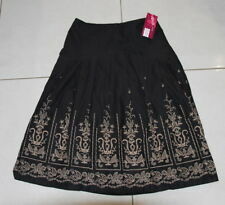 This is a J. Jill skirt size 6 Petite. It is a side zip, it is lined and is a bit of a full/swing skirt. It is in very good condition. Pattern Polka Dot. 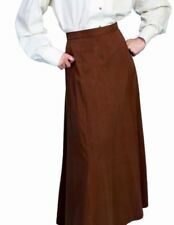 Length of skirt approx 23.5". Style Full Skirt. WAIST 32" - LENGTH 33". Color Black. Length Long. EXACT ITEM IS PICTURED ABOVE. THE WAIST IS VERY SMALL, SO I WOULD GUESS AN XS OR SMALL. ELASTIC STRETCH WAIST 20 ”- 32" —— LENGTH 40 ”. Material Cotton & Rayon. Style Full Skirt. Color Black. Size: 12P (Large Petite). Pattern Striped. Take it for a spin! Cast in sun-washed stripes, this swishy cotton skirt leads fashion's front lines with modern ease. Piped front and back yoke. Hidden side zipper with hook-and-eye closure.